Coffee is one of those touchy subjects. From working with clients 1 on 1, I've come to realize that coffee is something people hold very near and dear to their hearts. When it comes to proposing they remove it from their diet for a short period of time to see if their digestive, anxiety or stress issues improve, people tend to get quite defensive. To be honest, I totally get it! Coffee is more than just a bread-and-butter staple in someone's day – it's a source of happiness (there's an emotional connection! ), a boost of energy and in many cases, it's some people's life lines to making it through the day. In an ideal world, I would love it if we could rely on nothing but wholesome nutrient-dense food along with the odd supplement (such as probiotics, vitamin D and a multivitamin) to support our health on the daily. I often hear people say things like "I can't live without coffee!" or "I can't start my morning until I've had a coffee". But we shouldn't need something to get through our day, other than food and water which we actually need to survive. It's like coffee rules our life or holds so much power over our decisions. When we find ourselves at that point, sometimes we have to stop and ask ourselves – is what we're doing serving us, and if it not, are we ready to let it go? For those that are having trouble breaking up with coffee (even for a short while), Joy offers some great realistic tips on pg. 96 of Joyous Detox! Coffee does quite a number on digestion (this is just one example). In order for our stomach to open it's pyloric sphincter (the opening flap between the stomach and the small intestine) and release it's digested contents into the small intestine for further digestion, our stomach needs to reach a pH of 2. But what coffee does is that it says "ph-WHAT?!" and races on through that pyloric sphincter into the small intestine, releasing all of the remaining undigested contents and food particles with it. This is where we start to see things like digestive issues including gas, bloating and sometimes even food sensitivites/intolerances as a result of undigested food particles being released into the blood stream and being seen as "foreign invaders" by the immune system. Needless to say, most people I've worked with who suffer from digestive issues tend to find relief after having eliminated coffee. When we drink coffee, we also activate a cascade of hormones, one of which is most well known for causing a stress response: cortisol. In the average stressed individual, cortisol levels are already heightened. When we sit in this state of elevated cortisol for too long (as a result of being chronically stressed and slurping back too many cortisol-elevating coffees), we may find our blood sugar levels become imbalanced, our blood pressure increases, the strength of ourimmune system weakens and digestion slows. Caffeine has a half life of about 5 hours which means that the effects can be felt throughout our body (more specifically, our nervous system) for 5 hours. Depending on what type of metabolizer you are, that number can range anywhere from 1.5-9 hours. This explains why some people have trouble sleeping if they've had a coffee too late in the day or feel the jitteries for longer than usual. During that time, a whole cascade of hormones are affected, including cortisol, dopamine, and adrenaline. We briefly discussed cortisol, but let's talk dopamine – those "feel good" hormones that give you a rush or boost similar to amphetamines. 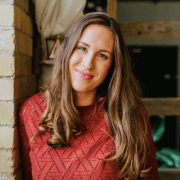 The reality of these "feel good" hormones is that your brain loves them so much, that they will continue to drive you back to the source and keep you craving that specific food or substance. Adrenaline works by boosting our energy levels, followed by giving you a not-so-lovely crash which naturally leads to another urge for another boost (or another cup). No bueno! Now before you coffee lovers scurry off, hear me out :) I'm not here to bash coffee. In fact, I enjoy 1-2 cups of high quality coffee per week myself (merely for the taste, not the energy boosting effects). I believe there's a way to establish a better and healthier relationship with coffee, simply by educating ourselves on the effects of coffee (as listed above), knowing healthier ways to consume it and having nourishing alternatives on hand (which you'll find below). 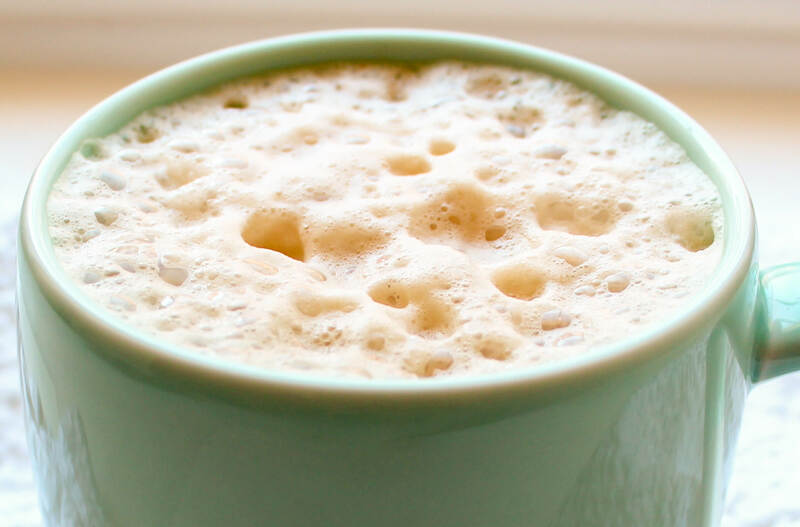 Now if you're going to consume the odd coffee, let's make it the healthiest it can be! Keep coffee 45 minutes away from food to prevent it from interfering with digestion. Before reaching for a cup of joe, ask yourself: am I tired and looking for this as an energy boost, or do I feel in control and merely want to enjoy the taste? If it's the latter, and you haven't overdone it in the coffee department in the week, I say "treat yo' self!" (those suffering with digestive, stress and hormonal issues aside). Be sure to hydrate. For every 1 cup of coffee, make sure you are having 2 cups of water as it has a dehydrating effect which can cause a whole other set of issues in the body. Reduce your consumption! If you're currently having 1 coffee/day, have 1 coffee every other day. On the odd days, swap in a healthier alternative such as a herbal tea, or Joy's Turmeric Ginger Tea, or my Dandy Blend Tea Latte. Dandy – what?! Dandy Blend! This is a nutritious blend of dandelion, chicory root, barley and rye extracts that act as an instant herbal coffee substitute. 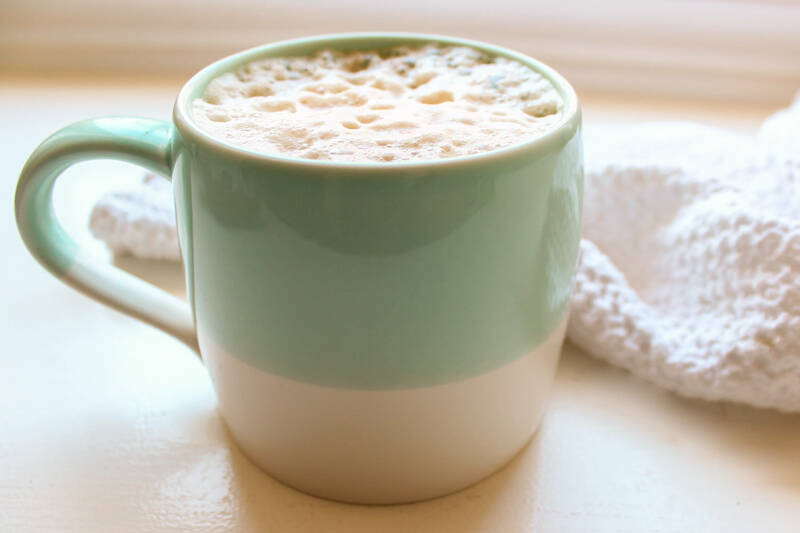 It doesn't have the same effects as coffee does, so don't be turning to this stuff and expecting to a get a big rush, but it does have somewhat of a similar taste and will satisfy that coziness you look for in a cup. The great thing about this is that it will not affect your digestion like coffee does, it doesn't dehydrate you and it is loaded with nourishing herbs that will actually support your health. 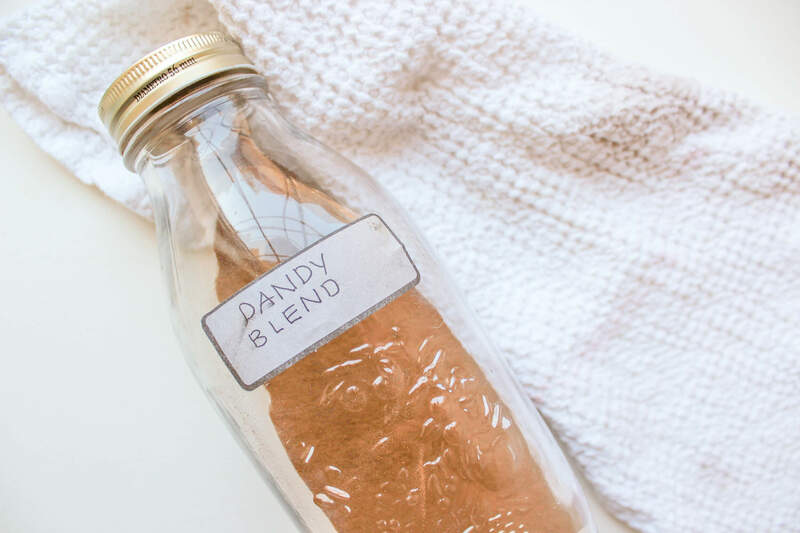 Now your average coffee connoissuer might not be entirely thrilled about this *cough* Walker *cough* but for the average person who just enjoys the taste and coziness that coffee brings, Dandy Blend is about to become your best friend! You can typically find it at your local health food store or online on Amazon. 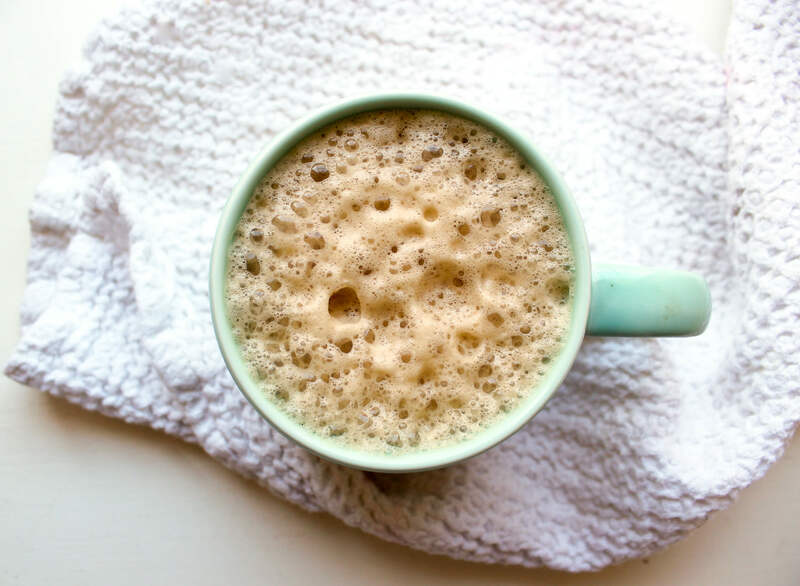 I don't love it on it's own just in water so I turn it into a bit of a frothy latte, simply by adding a dash of almond or coconut milk to it and whipping it up in the blender. Sometimes if I'm feeling a little bit wild, I'll add 1 tsp of ground cloves to it just for a bit of extra spice and bite! It's that easy, not to mention, an incredibly economical choice next to your daily coffee (those puppies can add up!) So what do you say, are you up for the challenge? Take it for a whirl and let me know what you think! Thanks for this--I have recently begun using Dandy Blend and totally agree with your assessment. I love coffee but it does not love me, and swapping in tea was just not cutting it. I use double the amount of Dandy recommended with coconut cream and really do enjoy it. Also wanted to mention that although it contains extracts of barley and rye, the package states "Gluten free", "All gluten is eliminated in the extraction process". Indeed I have not had any gluten reactions. I look forward to trying your latte recipe! I buy dried dandelion root from the bulk herb section of a health food store and roast it at home in an iron skillet. After roasting, I grind it in my coffee grinder, and put it in my one-cup Melita drip cone. The taste is almost identical to coffee! Hi Racheal I love dandy blend in the morning mixed with cocao and a bit of almond milk for a mocha type drink I love it! And look forward to it every morning. Do consider dandy blend a processed food? I’m trying to clear up some eczema right now and I guess I’m just concerned about how they extract all that goodness, would you recommend to stay away from it while I’m trying to clear up this excema or do you think It is pretty safe to consume. I think it's a better option than coffee from a gut health perspective. That being said, if you think it could be a food sensitivity for you, then you could cut it out. I would first start with avoiding soy, sugar, dairy, and gluten. Hope that helps Jessica! Hi Rachel, reading this as I'll be giving up coffee for a wee bit (religious reasons). Do you know if I could prepare this the night before, refrigerate and warm up the next day?